Working Together | Our focus in this campaign is education through our Diné Way of Life Teaching. This teaching allows our youth to determine and manage their future with respect to our elders. We need to be an example and practice a life that emulates all Diné values, while caring and putting into play responsible laws and practices that promote accountable uses of our lands. We plant to bring hope and be a voice of reason for our Diné people. With my family, we will initiate a balanced approach on Diné teaching with contemporary living. Do Your Best | Now that the Navajo Nation is commemorating the 150th year of the signing of the Navajo Treaty of 1868, we truly believe it is time to unify our people through Diné teachings with a focus on the future that embraces the resilience of our ancestors. It will be our mission to provide the necessary resources for a change that all can share. As our people grow stronger, we will make positive strides for the Navajo Nation. It will be this generation that will transform the Navajo Nation to a land of opportunity and hope for all By investing in our Diné people, we will invest in our future. Respecting Values | Team NEZ4PREZ needs your help. We are looking for street team members post flyers, seek donations and organize our meet and greet events. Volunteerism has been a mainstay of Jonathan and Phefelia's public service to the Navajo people. 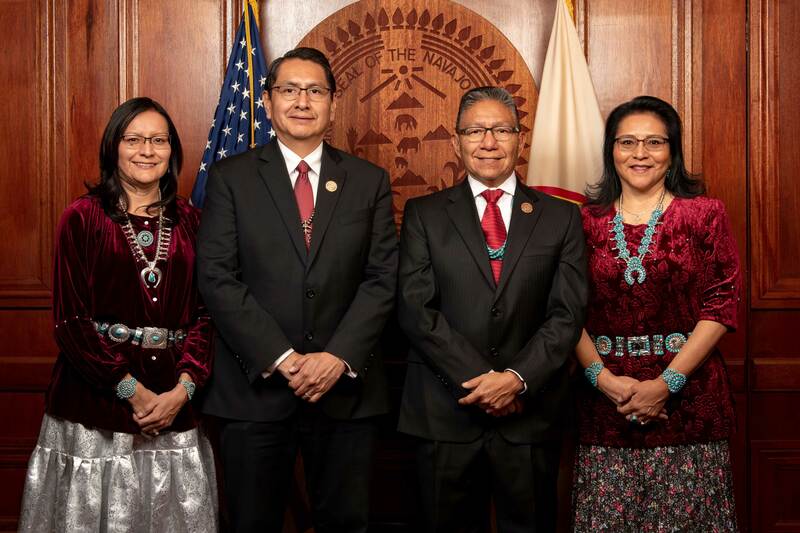 It has been a tremendous blessing and privilege to serve as Navajo Nation Vice President for the past three years. In that time I have garnered insight into the complexities of tribal programs, identified the particular needs of the Navajo people, and maintained an optimistic outlook for the future of our nation. This growth and strength was made possible through the volunteerism and endless prayers of Navajo families.